When you’re running a business or heading an organization, simply serving your customer base or loyal supporters isn’t always enough. Creating entertaining corporate events, like fundraisers, store openings, trade shows or appreciation parties are a great way to connect with your clients, contributors and potential patrons…BUT it’s the post-event follow-up that is the most integral part of the process. 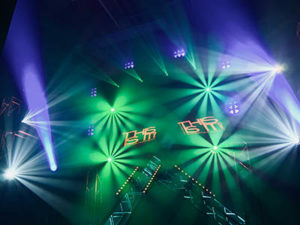 When the music stops and the lights turn down, that’s when the most successful groups get to work. 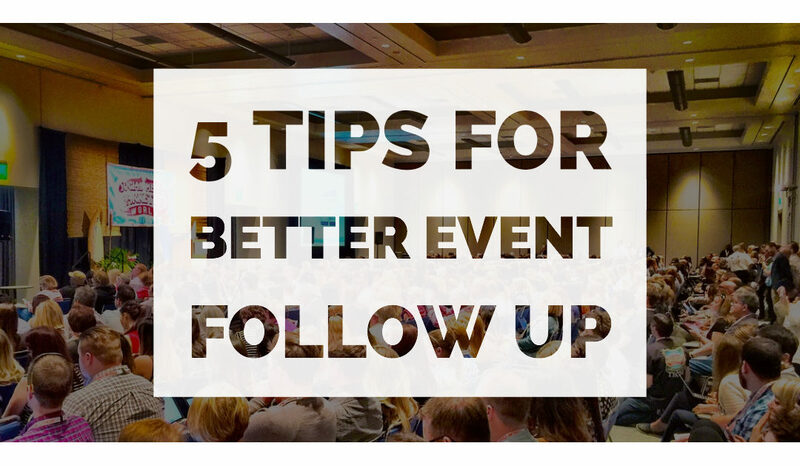 Here are five post-event follow-up practices to ensure a deeper connection with your audience. Opinions differ on what makes for a successful event and a follow up survey is a great way to tap into your audience for feedback. By distributing a survey to guests, you’ll not only receive honest evaluations about the experience, but also ideas about what can be replicated and what needs to be improved at your next scheduled outing. Reaching out and asking the opinion of your audience is also a way to generate more goodwill, as event guests will feel more invested in your next event, and may be more inclined to bring their friends and family, creating more opportunities for your business or organization to grow its reach. How satisfied were you with the event? Ask guests to rate integral aspects of your event such as the location, type of vendors, refreshments, guest speakers or panels, entertainment, etc. What did you enjoy most/least about the event? Leave this question open ended. It will allow guests to identify pain points, as well as what delighted them. How likely are you to attend one of our future events? This type of question is a good way to determine how engaged the audience was with your event. If the majority of attendees are willing to return to your establishment in the future, chances are you’ve made a good first impression. Would you recommend our events to friends and family? Potential customers, clients and supporters are more likely to give your business, product or organization a chance if it’s recommended by a friend. A friendly referral for a future event is a great way to get new faces through your doors. The post-event follow-up email isn’t just a wonderful way to thank your audience members for attending, but it’s also an important point of contact that can bridge the gap, keep the conversation going, and maintain your place in front of their mind. This tactic is one that builds trust and makes your audience feel valued, prompting them to spread the word about your organization. It’s also a great way to drive more conversations with a subtle call-to-action that can keep your audience engaging with your website. Great events often provide audience members a great way to preserve their great memories from the affair. This is where that photo booth you ordered comes in handy. Once the party is over, reach out to those attendees by emailing them their photos from the event. Not only will they value the keepsake, they’ll be sure to share the experience on their social media platforms, putting your brand in new hands…Just make sure you provide guests your social media handles and branded hashtags to include in their posts. What’s better than sharing photos from the event? How about a highlight video? If you thought photo booth shots were social media gold, then video footage is some rare metal excavated from the Arabian Sea…It’s valuable, and makes for great sharable content that will not only put new eyeballs on your brand, but make viewers feel like they were part of the action. If a guest enjoys one of your events, chances are they’ll be anticipating your next one…and when the plans are scheduled you should let them know about it. Save-the-Date invitations are key pieces of communication, not only as a notification for your current audience members, but as a piece of sharable content. Direct mail pieces and digital email invites are easy for your guests to share with friends and family.